Designed for use with 1969-97 Ford 351W engines only. 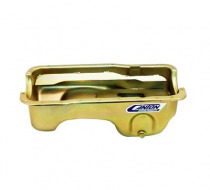 This Canton Racing drag racing wet sump pan is designed to provide the best oil control and power savings possible for your application. 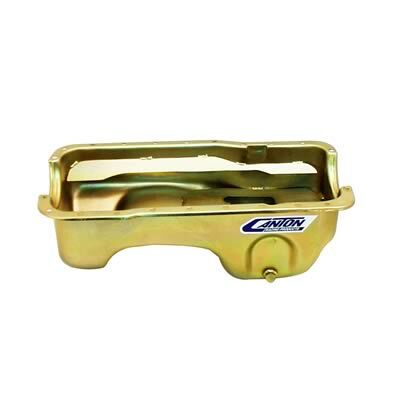 The Canton Racing drag racing wet sump oil pan is ideal for all levels of performance from bracket to pro drag racing. Maximum Stroke with OE Rod: 4.00 in. Drain Plug Thread Size: 1/2-20 in. Notes: Designed for classes that require a stock appearing pan. Pan mounted dipstick. Baffle is removable.